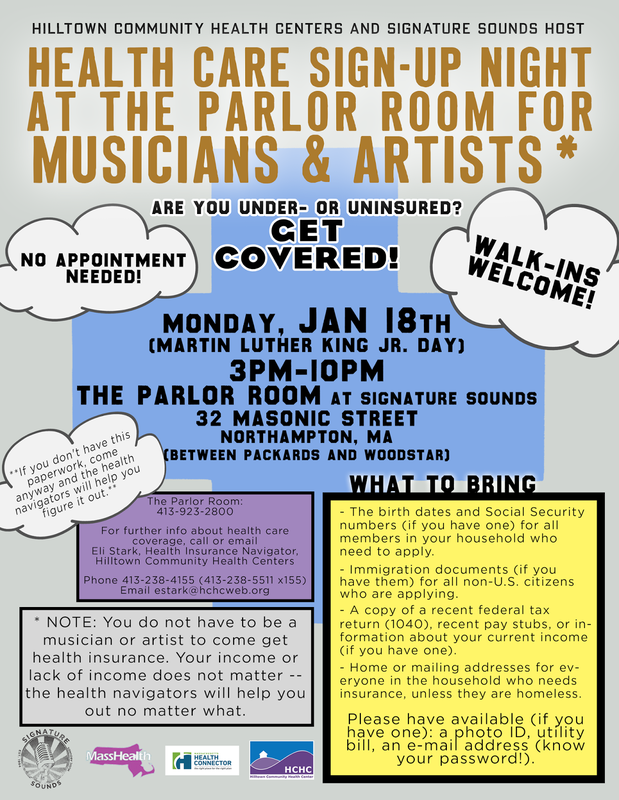 On Monday, January 18th Signature Sounds is hosting a health insurance sign-up session for musicians, artists, and anyone else who needs it. 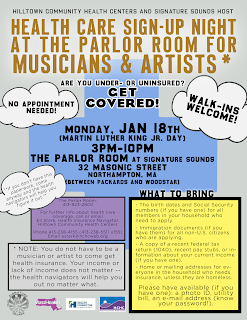 A group of health insurance navigators are setting up shop at The Parlor Room from 3pm to 10pm. Their services are free and they'll do everything they can to find good quality, low-cost (or no-cost) insurance for folks who come out.